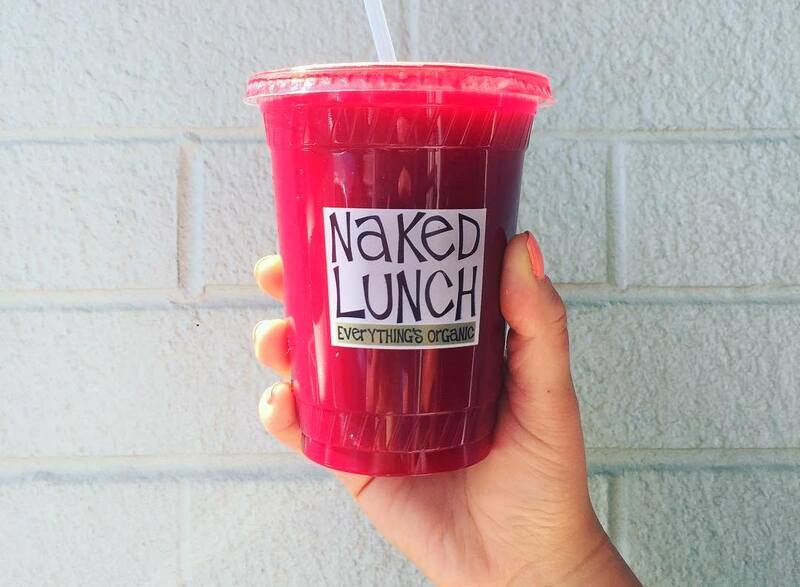 If you struggle to eat all your fruits and vegetables, maybe it’s time to squeeze in a juice stop. 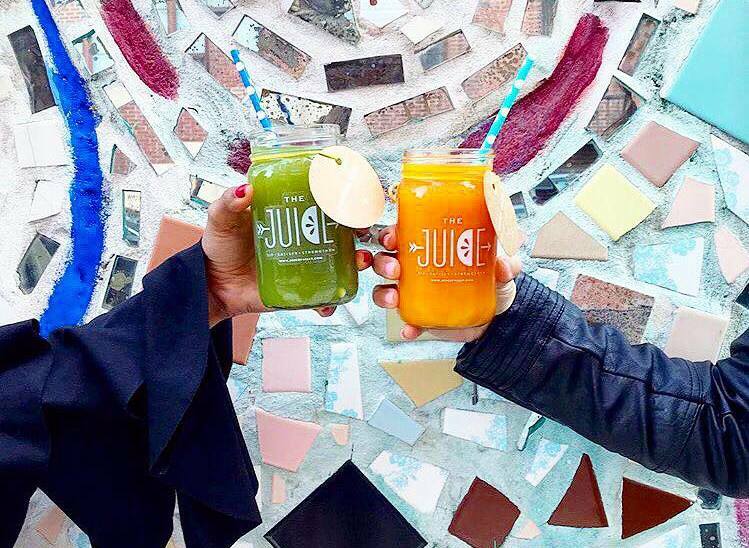 In our fast-paced lives, instead of starving or slowing down, swing by one of these 15 Philly juice and smoothie spots. Fuel up on real food and power through the rest of that to-do list and even your evening sweat session… which might require a post-workout smoothie. Luckily, you’ll know exactly where to go. You’re welcome! Healthy, fast, and delicious — what more could you ask for? 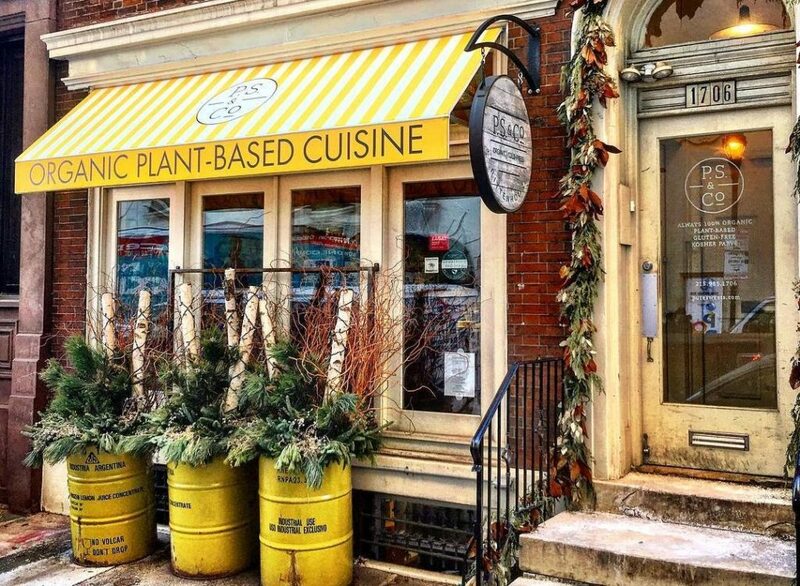 How about flash sales, fresh ingredients, and a killer Rittenhouse location? That's what you get with Smart Street. With discounts for running, locally sourced food, and a menu full of every juice ingredient you could imagine, Smart Street is peak millennial. 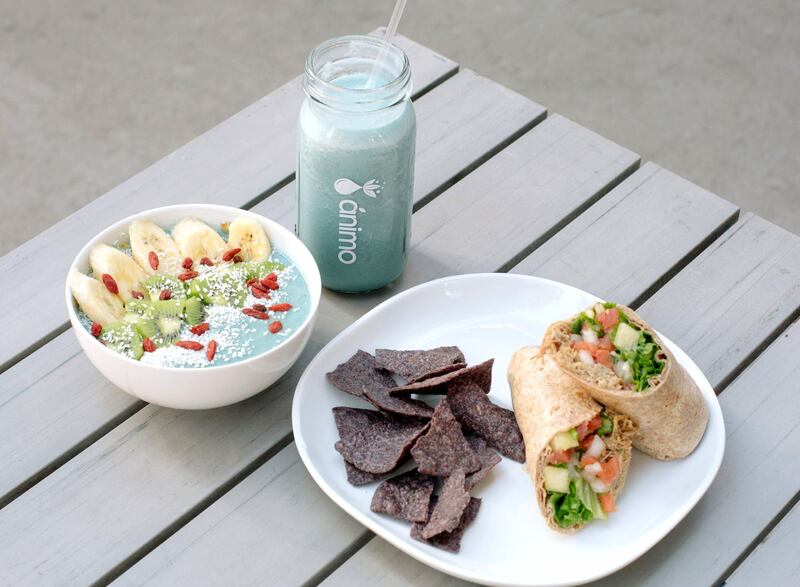 If you’re extra hungry, you can grab an acai bowl or a wrap to go. Whatever you get, know you’re getting the best take on “fast” food without the greasy fries slowing you down. 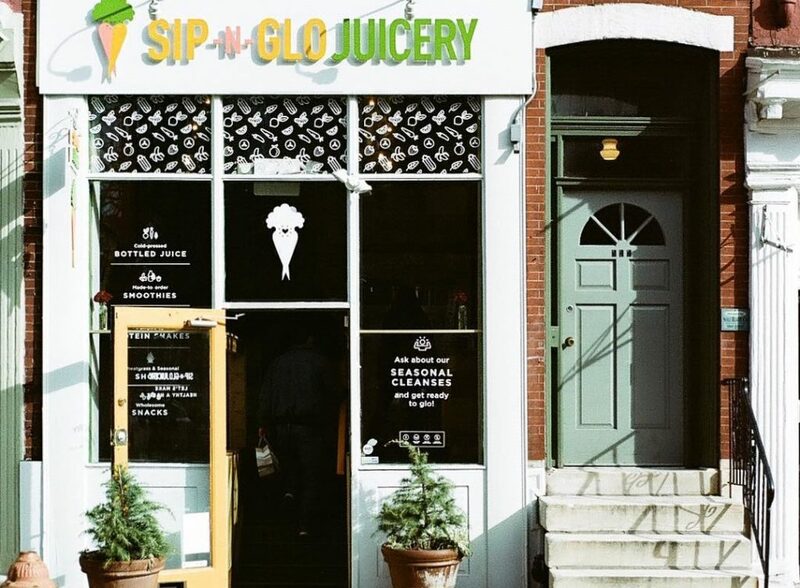 You'll feel the magic the moment you waltz into this adorable Northern Liberties shop, and you'll still feel the effects of their raw, healthy ingredients as you go about your day. Their name comes from the fabled location of the “Fountain of Youth” and, though we can’t swear their sips will guarantee to halt the aging process, you’ll probably have a spring in your step after tossing back a few of their refreshing juices. Fitt Tip: When you’re feeling hungry for some heavier fare, their oatmeal’s the best in the city and costs less than $4! 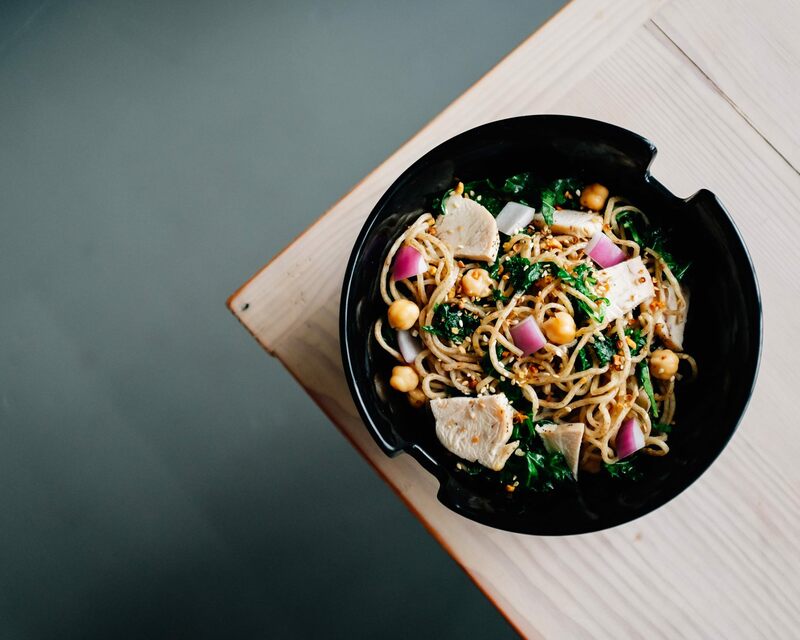 Philly’s own hometown hero, honeygrow, has always been known for their stir-fry, salads, and DIY honeybar. 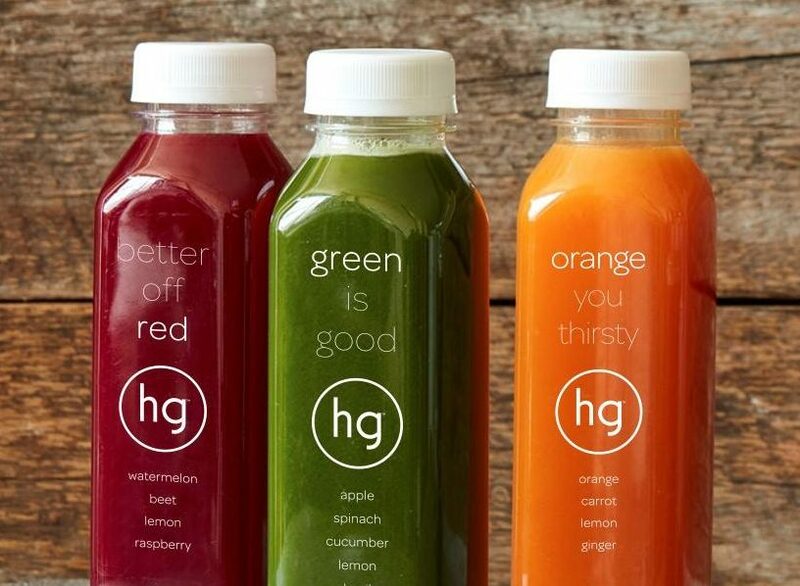 Their most recent venture is fresh, cold-pressed juices, and for $6.75 a bottle, these babies won’t break the bank! They’re keeping things simple with three options: Green Is Good (apple, spinach, cucumber, lemon, and basil), Orange You Thirsty (orange, carrot, lemon, and ginger), and the Better Off Red (watermelon, beet, lemon, and raspberry). 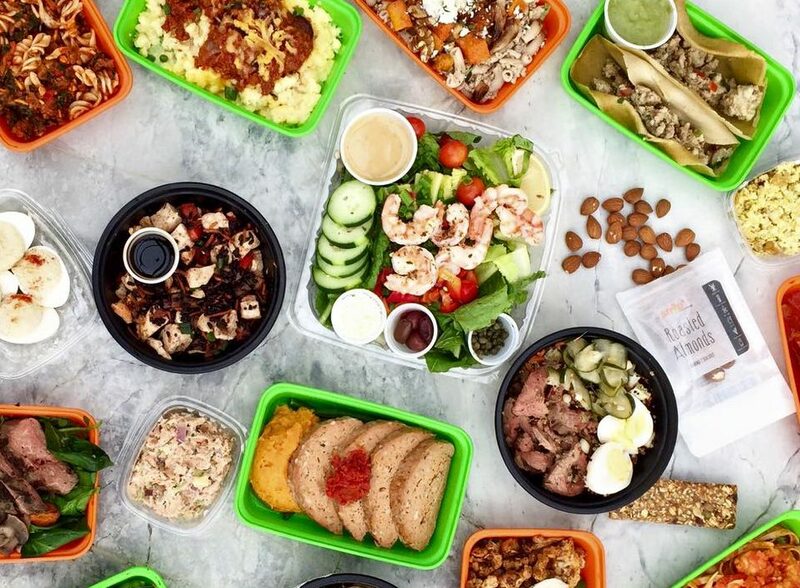 honeygrow’s known for offering fast-casual goodies that fill you up without weighing you down, and adding juices to the mix makes total sense for this brand! The eats are as healthy as they come and the aesthetic is amazing, making this clean-eating cafe an absolute must-visit. The menu includes options for breakfast, lunch, sweet treats, coffee, tea, and—as you probably guessed—juice. But no matter which menu you order from, your selection will be 100% organic, gluten-free, plant-based, and kosher. That’s just how this Rittenhouse Square joint rolls. These juices top the list as some of the most expensive, but with guaranteed organic produce and loads of flavor, there’s plenty of bang for your buck. When it comes time to power up or recharge, Fuel should be your first stop. It’s an all organic refueling station serving lean, green, and clean eats. And get this: everything on the menu (including juice and an entire meal) comes in at under 500 calories. Now that’s what we call fuel-efficient! Find them at three different locations across the city. If you’re in Old City, you should definitely stop by Stripp’d for a goldmine of good-for-you drink options. From cold-pressed juice to blended nut milks and smoothies, and hand-painted signs to crazy cool counters, everything is on point. And so is the taste of… well, everything on the menu — especially the spicy kale concoction known as the Jala At Ya Boy. For something a bit heartier, nab an Acai Bowl, but be aware: they sell out fast on the weekends! 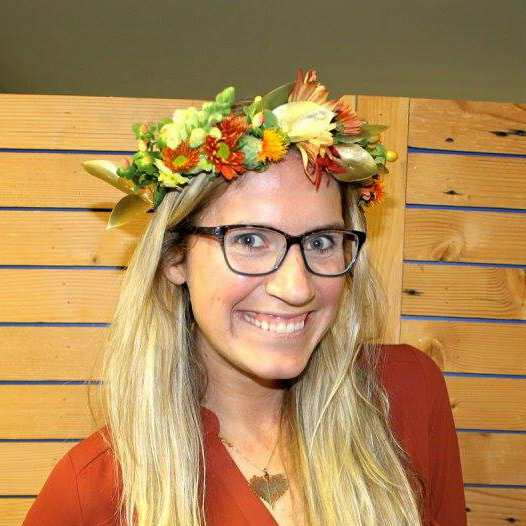 The Juice aptly sells only the meanest, greenest, good-for-you juices and smoothies around! 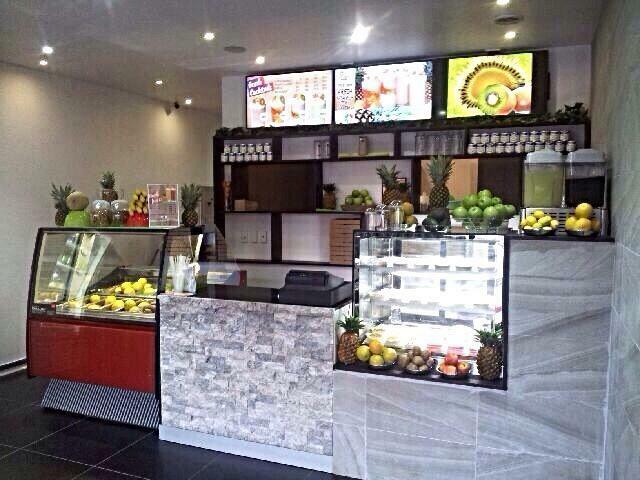 But unlike other juice joints who focus on select fruits and veggies, this place is focused on performance. More specifically, they cater to athletes who need a little pep in their step. These juices are packed with fiber, plant-based protein, and maca powder, among other awesome ingredients. Fitt Tip: you can’t visit their production facility; check their site to find a local "Stockist" partner selling their juices. Let’s be honest; as much as we all love getting our juice on, at some point the options all sound the same. You know the ones: green juice, red juice, and spicy something or other. 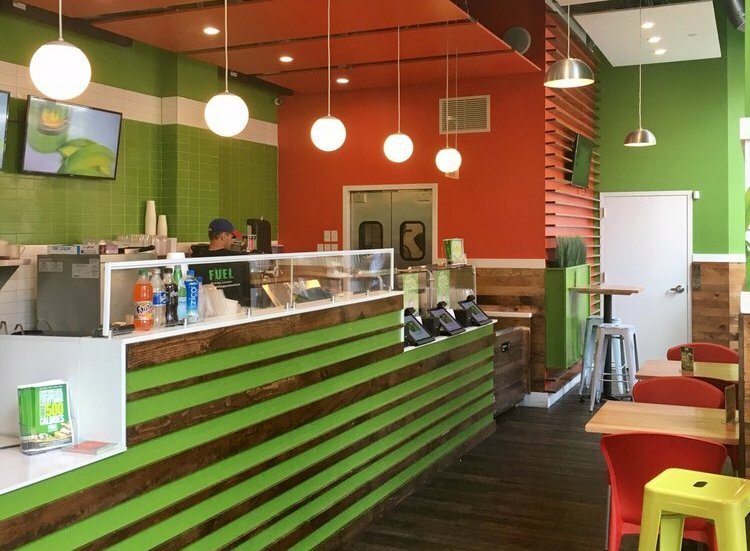 Well, The Juice Merchant must have gotten tired of that too, so they added some awesome concoctions to the juice and smoothie selection at their Manayunk and University City locations. Tropi-kale and Twisted Apple upgrade the juice options, while Coffeelicious and Hawaiian Delight take the smoothie game to another level. There are two words that explain what’s happening at Ánimo. They are ‘juice’ and ‘burritos’. Yes, really! To be clear, there are no burrito-flavored juices or juice-filled burritos — these items are solid separately. But both are made with your health in mind. That means fresh ingredients and no preservatives, GMOs, or deep fryers. Looking for a quick boost? Skip the 5-Hour Energy and go au natural with one of their Ginger Lemon Shots! Healthy doesn’t just happen; it’s a habit that has to be formed. Sip-N-Glo wants to help. They’re all about striking a balance between gratifying and guilt-free. Translation: their treats are delicious and nutritious. Skeptical about juice cleanses? Sip-N-Glo will show you the light by steering you towards a cleanse that promises to have you glo-ing with energy. 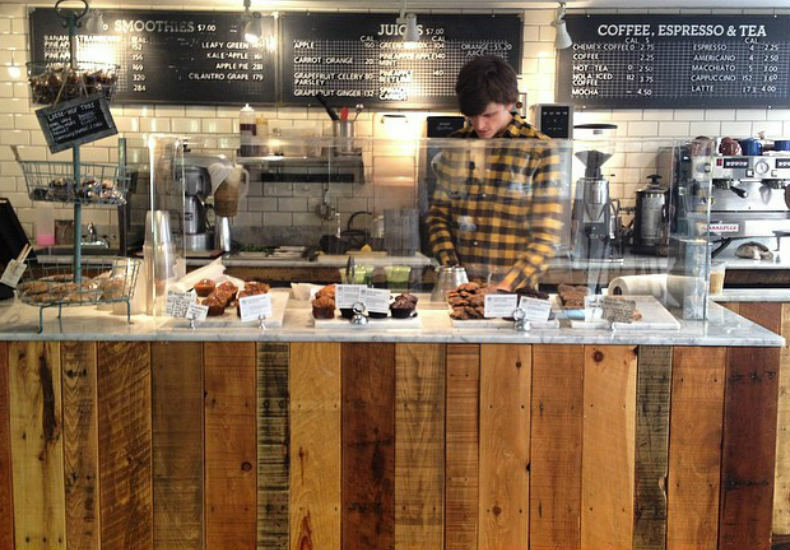 Just pop into one of their locations (two in Rittenhouse and one on South St.!) for the best post-workout smoothies with vegan protein, greens, chia, maca, cocoa, and every other superfood under the sun. 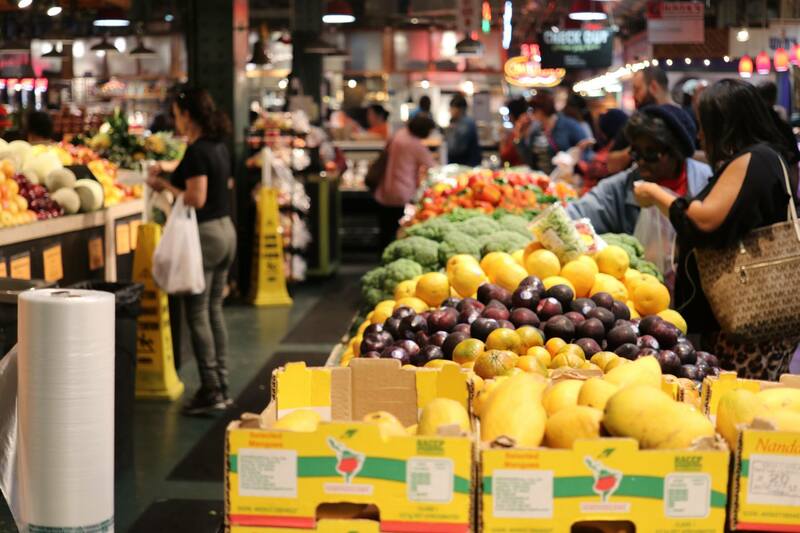 With nearly a hundred different vendors packed into the Reading Terminal Market, it was only a matter of time until someone started squeezing all of the fresh fruits and veggies into juice. And that someone is Four Seasons Juice Bar. 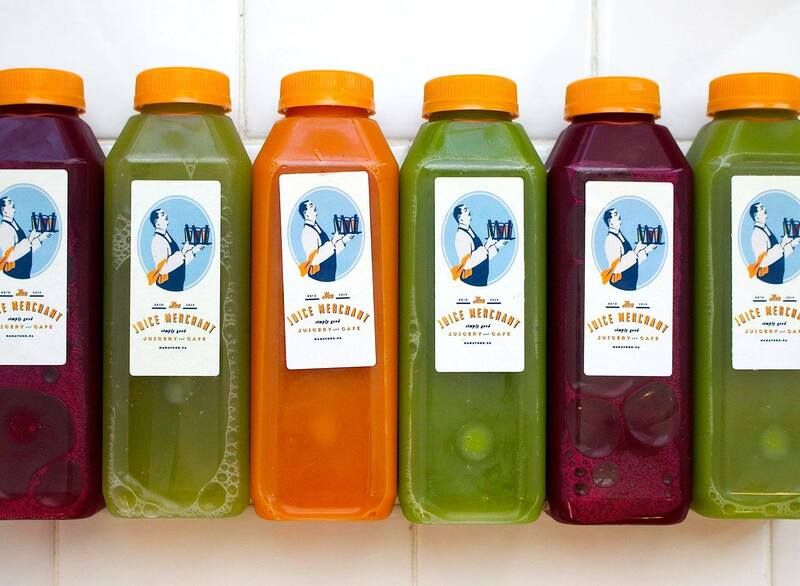 With all the juices under $10, they’re one of the healthiest options in the building that won’t break the bank! Next time you visit Reading Terminal Market, be sure to snag a little something from this spot to enjoy while exploring the many merchants. Until Wawa starts making their own cold-pressed juices, we’re always on the lookout for quick grab-and-go options. And nowhere makes this easier than Snap Kitchen. With their four locations in the city and three more in the suburbs—all conveniently located near gyms or studios—they’re ready to fuel any fitness routine. Grab an Early Bird with citrus, turmeric, and black pepper before work, or spring for a Power Cacao protein shake after a lifting session and you’ll be back in business in no time. 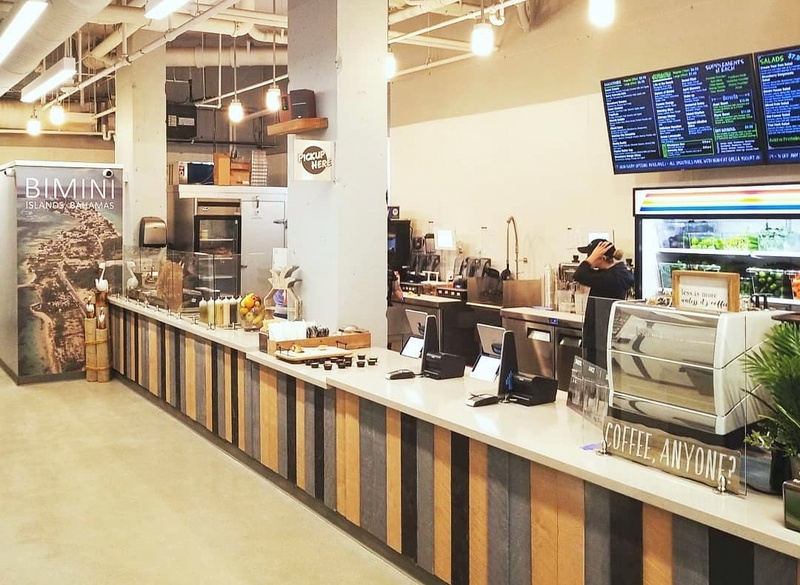 East Market’s development seems never-ending, but one of our favorite parts of the project is the introduction of MOM’s Organic Market, complete with a Naked Lunch inside. 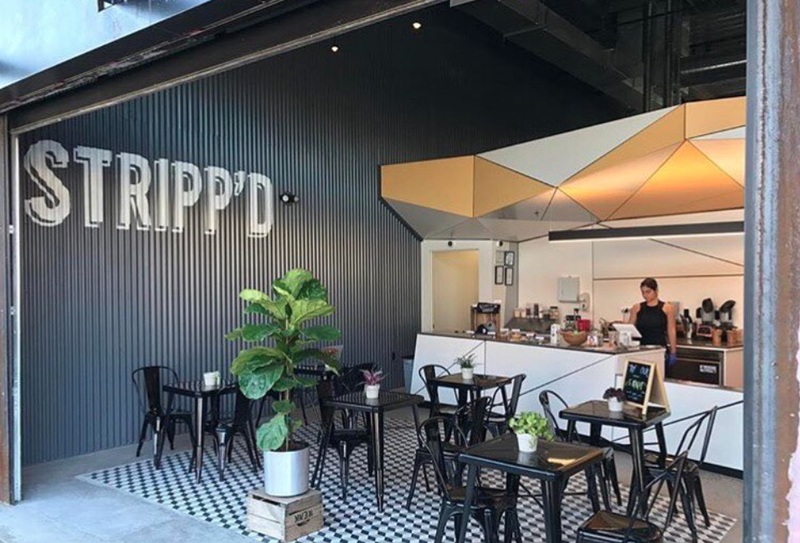 While they’ve got plenty of filling bowls to satisfy your hunger, they’ve also got a juice bar where you can customize the beverage of your choosing for some of the most affordable prices in the city. It’s perfect when you want to sip while you shop! Reading Terminal Market is full of tempting treats and over-the-top eats that tourists flock to. But, for those of us living, working, and eating in Center City, we know one of the best parts is Iovine Brothers Produce, there for some of the freshest fruits and veggies in the city. But, while you’re grabbing some greens, don’t forget about the fresh pressed juices located along the back register. They’ve got all different flavors, and prepared salads too, making this stand a must-visit when you’re in the neighborhood! Rittenhouse certainly isn’t at a loss for tasty restaurants and rowdy bars. 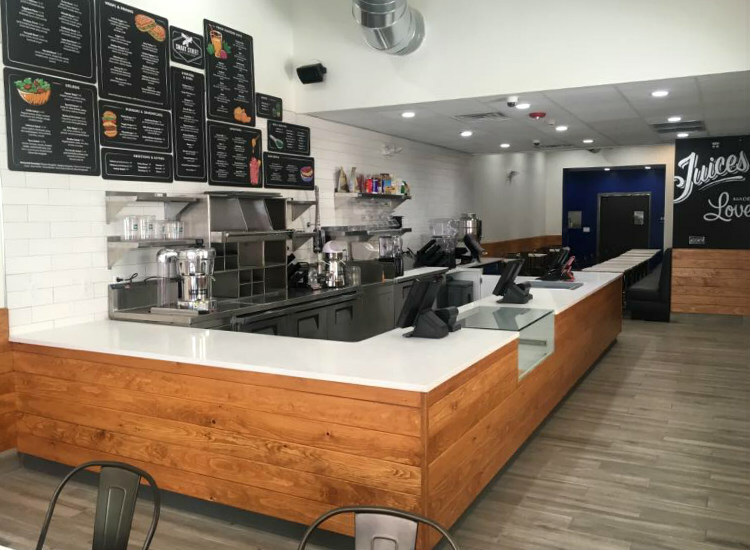 But, when you’re tired of pizza, sandwiches, and citywide specials and more interested in something healthy and refreshing, head to Pure Fare, serving juices and smoothies full of inventive ingredients. Add tahini to your smoothie for a creamy vegan kick, or enjoy a Hangover Helper juice packed with pineapple after a particularly late night to see/taste a whole new side of Rittenhouse.